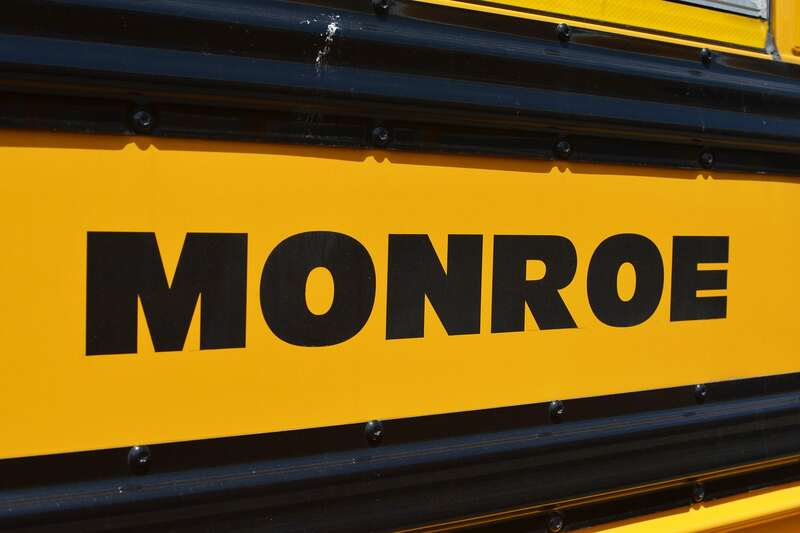 The school bus routes for the Monroe Schools are listed under the school that your student will be attending. You can find bus routes here. Residents are asked to share issues or concerns with their child’s bus stop location by calling Monroe Public Schools Transportation Office at 203-452-2860, ext. 2900. You can also find information on the Transportation Office webpage. Parents should check the district website for information about early dismissal days (for example: conferences and early-release days). You can find a complete list of school bell schedules listed below. NOTE: Bus schedules are subject to revisions that result from enrollment changes, transfers and address changes. Changes and / or additions will be posted to the school district’s website and residents are encouraged to frequently check the Monroe Public Schools website. Please do not worry if a bus is late, especially at the start of a school year when it typically takes a few days for kindergarten children and new students to become accustomed to the bus routes and schedules. If, however, you have concerns about your bus being consistently late over a period of several days, please contact the Monroe office at 203-261-2691. Listed below are the school hours and other times, such as early dismissal and delayed openings. For a more detailed list of early dismissal/delayed openings click here. Masuk High School – 8:55 a.m.
Jockey Hollow Middle School – 9:45 a.m.
Jockey Hollow MS STEM – 9:35 a.m.
Fawn Hollow Elementary School – 9:00 a.m.
Monroe Elementary School – 8:15 a.m.
Stepney Elementary School – 9:00 a.m.
Masuk High School – 12:00 p.m.
Jockey Hollow Middle School – 12:50 p.m.
Jockey Hollow MS STEM – 12:40 p.m.
Fawn Hollow Elementary School – 1:35 p.m.
Monroe Elementary School – 12:50 p.m.
Stepney Elementary School – 1:35 p.m. Bus service to out-of-district schools will follow the calendars posted by the out-of-district schools. If the Monroe Public Schools are closed, service will be as usual. 1. There will be no bus service if either the out-of-district schools or Monroe Public Schools are closed due to an emergency. A.M. – If there is a 90-minute delay for the Monroe Public Schools and a two-hour delay for Henry Abbott Technical School, the out-of-town bus for Henry Abbott Tech will follow the Henry Abbott Technical School opening. P.M. – If there is a two-hour early dismissal for the Monroe Public Schools and a 90-minute early dismissal for Henry Abbott Technical School, buses will follow the Monroe Public Schools closing. Any individual seeking a change to a student’s pick-up and / or drop-off procedure must contact the Monroe Public Schools Transportation Office. The Transportation Office provides an online form for parents wanting to submit a request. All Pre-K and Kindergarten students will be dropped-off at their assigned bus stops and must be met by a parent or an authorized adult/caregiver, or they will be returned to their home school. All other students – grades 1 through 12 – do not require an adult present. However, for grades 1 through 5, if a parent or other authorized adult/caregiver that is usually present when a student is dropped off is not there, that student will be brought back to school. If a student is uncomfortable when getting off at his or her bus stop, that student also will be returned to school. It is advisable for parents to inform the school if they want their student to be dropped off at their bus stop without an adult being present. In the event a change to a pick-up and drop-off schedule is needed during the school year, parents need to complete an online form provided by Monroe Public Schools Transportation Office. You can find the form here. No changes are made to bus routes during the first four weeks of school unless there is a safety issue. Riding the bus for the first time can be a very stressful experience for both parents and students, and we are here to help. All-Star Transportation drivers care about the safety of students and are qualified to teach everyone what they need to know to be safe. During the first few weeks of a school year, a driver will focus on teaching bus rules and behavior. This is for the benefit of all new students and a refresher for older students. Parents are encouraged to review rules and expectations with their students. 1. For kindergarten students who will be riding their first bus, there’s an orientation video available. 2. It is required that a parent, guardian or other designated adult accompany the kindergarten student to and from the bus stop. Students will be returned to the school if an authorized adult is not present to receive them on their return home. 3. Be at the bus stop five to 10 minutes before the bus is expected to arrive. Schedules can change and the bus could be early. Please stand at least 10 feet away from the edge of the road. 4. If you have a stop where your child has to cross the road, please allow the bus driver to control the situation. A bus driver will nod his or her head to let students know when it is safe to cross. 5. Please check school calendars. Students returning home on an early dismissal need to have their parent or authorized adult present in order to be dropped off. 6. All changes to bus schedules whether they are permanent or a onetime situation must be submitted through the school. If you need to cancel your child’s pick up, have questions or concerns please feel free to contact All-Star’s Monroe terminal at 203- 261-2691. 7. For more information regarding schedules and for bus inquiries please use the Monroe Public Schools website. 1. Kindergarten students will sit in the front of the bus. 2. Students are to stay seated, facing forward at all times. No standing, sitting sideways, sitting on knees, or blocking the aisle. 3. Talk in moderate and reasonable tones, use indoor voices. Yelling and screaming is not allowed. 4. No eating or drinking on the bus. 5. Listen and follow instructions from the bus driver. 6. No hanging anything outside the bus. 7. No throwing of anything inside the bus, or outside the bus windows. 8. No yelling out of bus windows. 9. No moving around the bus while it is in motion. Wait until the bus has stopped to get out of your seat. 10. Keep your hands to yourself. 11. Only carry onto the bus what you can hold in your lap. No blocking aisles or windows. 12. No glass, pets, or large objects that encumber a child getting on or off the bus are permitted. 13. Know the school bus danger zones. 9. Shout out to get the driver’s attention if you need the driver to remain stopped for any reason. If you have any questions, please contact All-Star Transportation’s Monroe office at 203-261-2691.